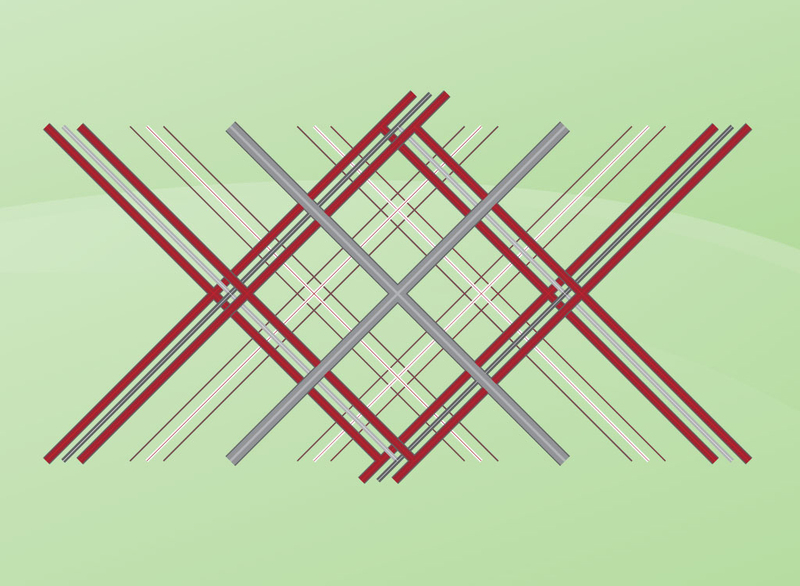 Diagonal vector design of crossing lines in a red, white and gray color scheme. The pattern resembles argyle and could make a good textile or apparel graphic. Download this simple but stylish stock footage and create cool embroidered hoodies, screen printed t-shirts and traditional print marketing designs. Tags: Composition, Design Footage, Diagonal, Geometric, Layout, Pattern, Prints, X.